It’s only fair to blog about ALL momentous occasions, so today marks the first ever buying of perfume. As a general rule I am a harsh advocate for the anti-perfume society as I have had one too many experiences of old women + train rides + hot days + sickening overload of the toilet spray. After a slightly embarrassing experience of wearing a certain perfume that reminded a certain someone of someone else, (That certain perfume was no great loss to ‘not wear’ as it was a sample the length of a 20c coin and the width of a metal nail-file) I decided that if I ever wanted to smell like something other than deodorant, my jumper that smells like soap, BO or the hamburger I recently consumed, that I’d have to invest. Of course when you’re talking about perfume and Rebecca (that’s me) it is something that sits beautifully in the un-necessary item category on the non-existent ‘items to buy’ list. So invest means no more than $30 and even that’s pushing it. 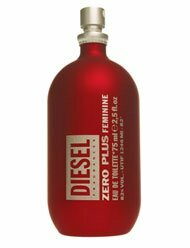 Anyhoo, for the approximate ~$20 mark I wound up with Diesel Zero (the girls version of the red bottled kind – how very half male brained of me). It took a bit of time to find something I liked in my usual ‘fussy way’, but it means I wont have to bother about ever choosing something else (optimistic). Old habits die hard. Do tell me when my nose stops working and I start overloading. …besides, the bottle is cool. I’m proud of you bec, finally bought perfume!!!!!! !